We already dedicated a topic to the Netherlands yesterday with the release of Dutch Paint Jobs Pack for Euro Truck Simulator 2, and we are back today with an invitation especially for our Dutch fans to meet us in person. 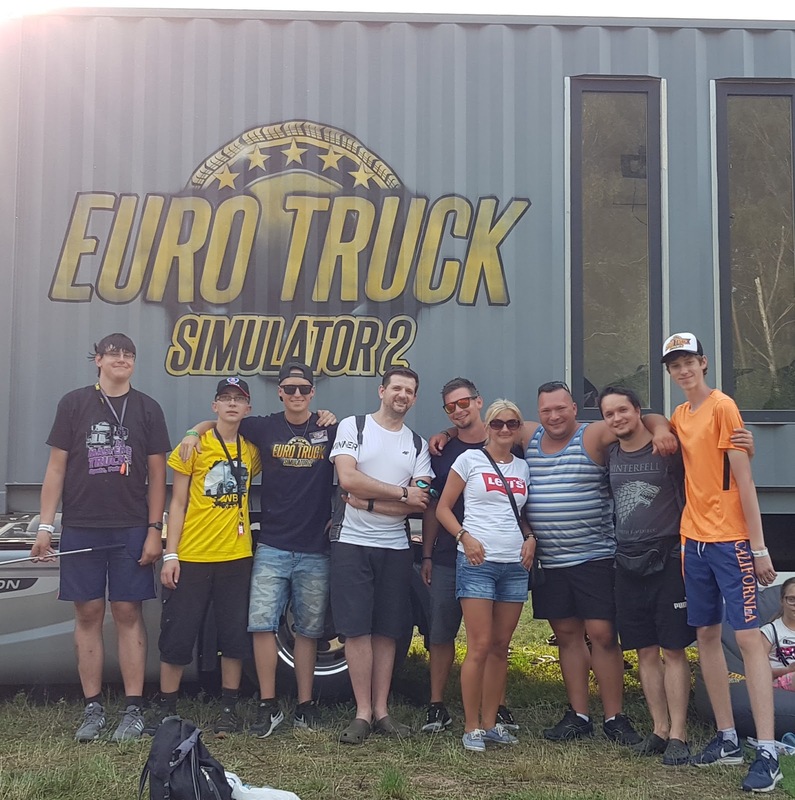 This weekend, July 28 & 29, our On the Road team and our sim trailer will be at Truckstar festival at Assen’s TT Circuit in the Netherlands. Truckstar is one of the largest and oldest truck fests in Europe, and the organizers expect over 2,000 trucks to show up. If you plan to be there, too, or if you live nearby and are deciding what to do with your Saturday or Sunday, our crew will be very happy to welcome you in our sim trailer and give you a chance to drive our truck sims in our 4D motion seats. As an appetizer of what kind of experience and atmosphere one might expect at a major truck festival, let us recap our most recent roadshow event. Our sim trailer was spending the previous weekend at Master Truck Opole in Poland, and we're still full of impressions. Two days full of tuned trucks, amazing paint jobs, interesting accompanying program, and thousands of visitors - could we ask for more? Check out a small gallery of photos taken during the event. You can always find even more photos on our social media channels, just as usual. Our SCS Sim Trailer attracted a lot of visitors since very early morning till the evening when we locked it up again. Our fan base in Poland is truly huge and we loved every moment spent with people interested in our work.